Loop has collaborated with ORCID to link and synchronize researcher profiles to make it even easier for researchers to import their publications into the ir Loop profile. The integration allows researchers to add all their publications from ORCID into their Loop profile with the click of a button, eliminating the need to maintain multiple online profiles. Loop’s approach is open, collaborative and inclusive and strives to provide a platform where researchers have all the tools at their disposal to enhance academic discovery and impact. This includes integration with ORCID. Loop will also be using ORCID’s OAuth process to validate the connection to the researcher’s existing ORCID record or invite them to create an ORCID iD if they don’t already have one. 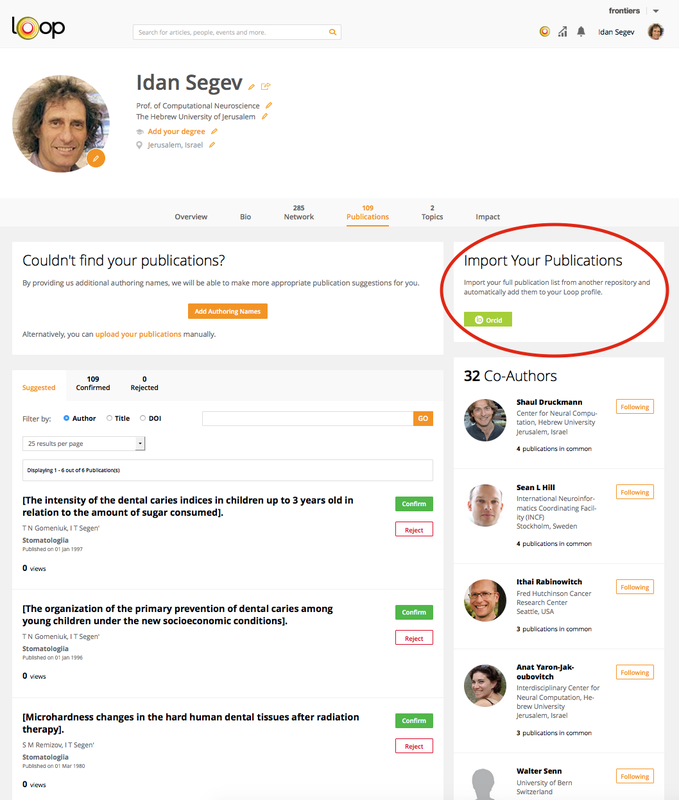 Additionally, the integration adds a link from ORCID to the author’s Loop profile, allowing readers to discover an enriched profile and networking experience on Loop. I find ORCID barely fit for purpose and their help desk almost never responds to question or problems. ORCID’s updating is poor, their controls are clunky and unclear and the ability to handle issues like duplicate records non-existent (although they claim they have new modules to do this). So before embarking on yet another system, what evidence is there that LOOP (or ORCID for that matter) are better than say GOOGLE SCHOLAR? Bear in mind am nay UK scientists are obliged (compelled) to also use RESEARCHFISH, another shockingly poor system.